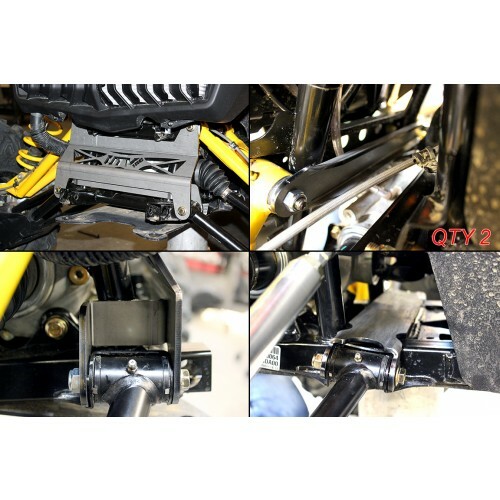 UTV Inc. has created a bolt-on gusset kit for the Can-Am Maverick. The Gusset kit is laser cut from 3/8″ steel and CNC bent for a perfect fit everytime. No more worrying about ripping an a-arm our or bending a pivot tab. This plate will bolt up to the chassis without modification to your UTV. Brace is powder coated black and kit contains 5 pieces total.